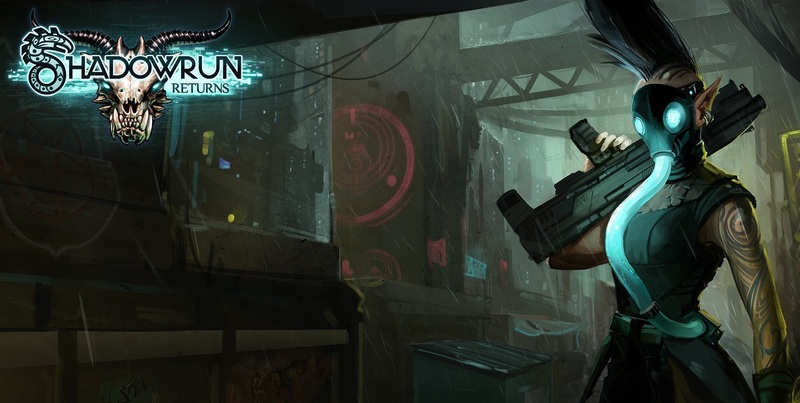 Shadowrun Mostly Returns | SPACE-BIFF! 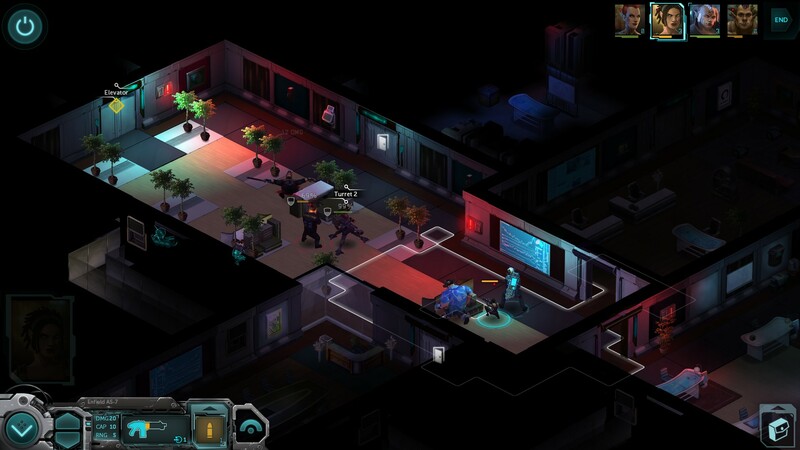 If you don’t know anything about the world of Shadowrun, it’s a prime example of the cyberpunk genre we all know and love, full of heartless megacorporations, hackers with glowing avatars, the word “runner” indicating someone working a spurious career path, and thousands upon thousands of square kilometers of crotch-scented slums. However, it’s got one major twist that transmogrifies it into something distinct from all its would-be twins: thanks to a mysterious “awakening” about fifty years before the setting’s present day, this particular universe houses elves and dwarves, orcs and ogres, demons and magic. These exist alongside the humdrum day-to-day of glaring neon and hand-to-mouth desperation. 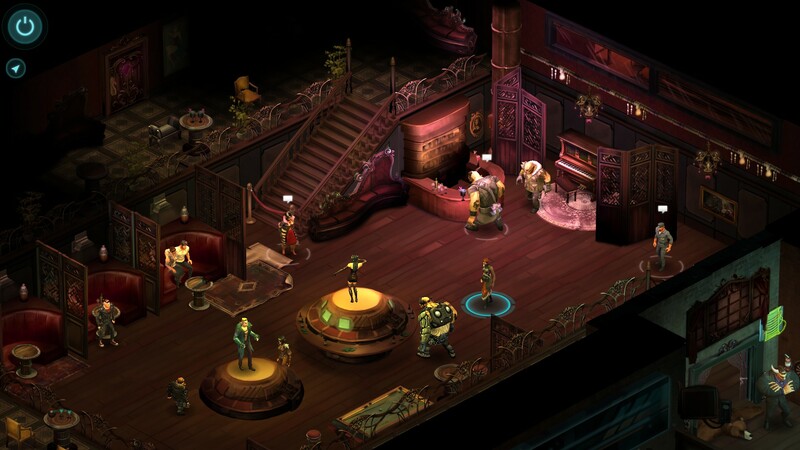 And here, recent Kickstarter success Shadowrun Returns is all about your deeply flawed character’s noir-flavored quest to solve the murder of an old friend — though in a world where everyone lives in the shadow of unreachable highrises, even your motives are shady. Many of the locations have a tragic beauty to them. Sounds good so far, doesn’t it? For the most part, it is. Still, I’ve been seeing a lot of this one statement orbiting this game: “It’s a twenty dollar RPG, you get what you pay for.” And as much as I hate that mentality, it’s pretty much right this time. Wrongheaded but apt, you could say. For one thing, Shadowrun has a lot of great stuff going for it. The graphics are perfectly drawn, even the shadows colorful and sickly. It’s got turn-based combat, enough of a rarity in this day and age that its existence is a precious member of an endangered species to be coddled and loved even if it’s kind of scruffy and unlikely to father any progeny — though against all odds its battles are actually pretty damn good. There are a myriad of tactics to use, challenging situations to overcome, and lots of skills to put to use, both in and out of combat. Failure comes fast and hard, exploiting even a single misuse of your resources or limited action points. It’s a hell of a lot more than I dared hope for. Best of all, the writing is mostly fantastic. The characters are well drawn even when they’re falling into comfortably-worn stereotypes. The plot is labyrinthine, but not so much that you can’t find your way with the help of a few narrative threads. It has a discernible voice that doesn’t rely too much on silly future-slang. For the most part, it’s an enviable accomplishment. Unfortunately, astute readers will have noted the “mostly” at the start of that previous paragraph. The tactical combat is surprisingly good, though on certain difficulty levels it’s much too easy. 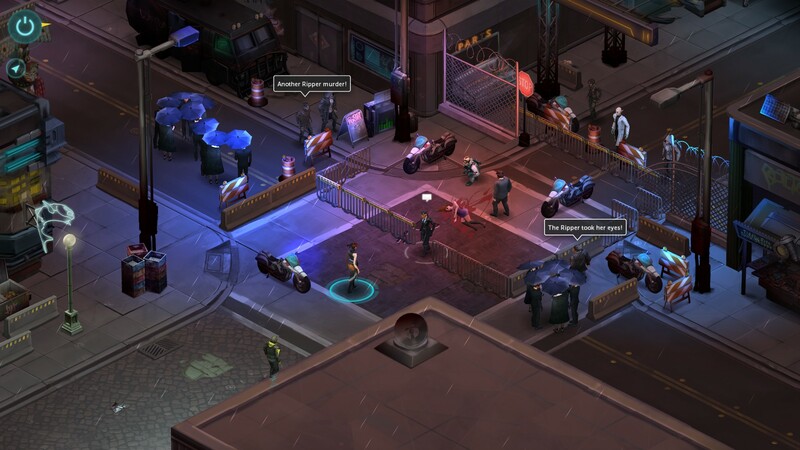 The problem with Shadowrun Returns is that every positive point comes with a big “mostly” stamped onto it. Imagine this: take the movie Casablanca, and pretend someone decided it would have been much improved if Rick had comes to terms with his past with Ilsa, escaped the scrutiny of the Germans, and then… just kind of fought alongside the Free French for a couple hours. Those battles could have been really well choreographed, with great music and scenes, and everyone likes watching Humphrey Bogart doing stuff, but it still would have felt really weird, because the story was finished on that foggy runway when the film’s main conflict was resolved. That’s exactly what happens in Shadowrun Returns (not that it’s Casablanca, let’s not get insane hyperbolic with this). The writing is mostly great. Great for the first two-thirds of the game, even. As your character investigates the murder of an old friend at the hands of a new-era Jack the Ripper, it’s great, and so long as the story is about a personal quest through a grayscale world, it stays great. And then, once the story is pretty well concluded, it goes and transforms into over-familiar save-the-world claptrap, and rather than raising the stakes, it merely makes them impersonal. You solve the mystery, bag your murderer, and then… the story decides to keep chugging along for a while. And the battles are challenging, the best in the game, and there are some cool settings and characters, and even a cameo from someone familiar to Shadowrun lore! Not so great. Because it feels weird. Because the story’s main conflict got itself wrapped up a couple hours earlier. In a body bag, see. That’s not the only time the game gets things “mostly” right. A whole bunch of the skills are useless, especially magic and the shamanistic elemental summoning stuff, while others (rifles) are extremely powerful. Even some character roles are silly-unbalanced, like deckers (hackers) who are completely useless except when they’re absolutely mandatory. It has hints of choices and consequences, though the game ends up being possibly the most linear RPG I’ve played in the last decade — not that linear RPGs are necessarily bad, or somehow disqualify the game as an RPG; but if you’re going to have choice, then have choice. Oh, and its checkpoint save system isn’t mostly good. It’s just crap. The story is well-written. At least for the first two-thirds of the game. All told, I’m not saying it’s bad. It’s pretty good. And in a year, thanks to its robust campaign creation tools, I imagine there will be some really creative content floating around. I suspect some of those user-made campaigns will be great, all the way through. But for now, my final score is — and I hate myself for this — that it’s a twenty dollar RPG, and you get what you pay for. Posted on August 6, 2013, in Reviews and tagged Harebrained Schemes, Shadowrun Returns, The Fruits of Kickstarter. Bookmark the permalink. 2 Comments. I was even thinking of picking this up… now I think I’ll wait a bit for a sale or for when some of these user campaigns are released. Thanks! I was also surprised by how good the combat is. You need to play on hard or higher to feel the impact of it though. Still my recommendation is the same as Dan’s. This game will be better a year from now.